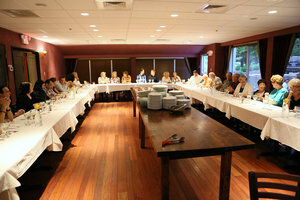 Vito’s in Windsor,Ct offers private rooms for catered events such as wedding receptions, anniversary and birthday parties, as well as corporate events. Vito’s by the Water is more than just an Italian restaurant. 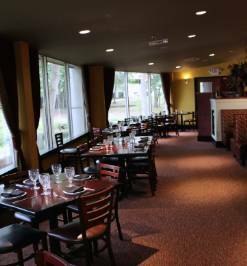 In addition to serving the best Italian & Mediterranean cuisine in Hartford County, we also have several private rooms that can accommodate virtually any private party or event whether it’s 10 guests for a business lunch or a wedding reception for 200. Here are just a few events and private parties that you can have at Vito’s by the Water. You can choose a variety of serving styles as well. 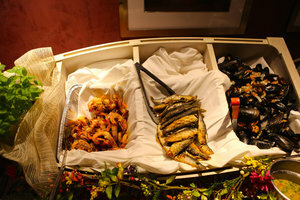 Anything from buffet style, to plated lunch and dinners to passed hor d’oeuvers. We also do offsite catering, as well as pizza parties. If you are having a private party at your home, Vito’s can also have one of our chef’s come to your house. You then get to enjoy a fantastic meal AND your guests! The following are menu selections that we have, or you can discuss a specific menu with us. For any questions, or to book an event, please contact us at the following.